Lil Yachty feat. 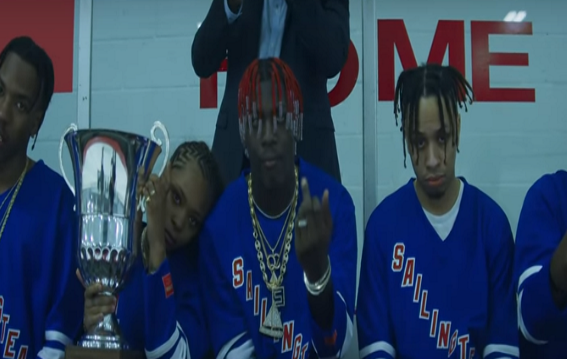 Quavo & Skippa da Flippa - "Minnesota"
Directed by RJ Sanchez and Brendan Vaughan, the infectious hit record produced by Grandfero that catapulted Yachty to stardom finally gets a visual and where else to shoot it but at a hockey rink. This was also off his 'Lil Boat' project as a remix so that's where the Quavo & Skippa features come in at.